Window and door nanofiber RESPILON AIR® membrane elevates the protection of your home to a new, unparalleled level. Forget screens which protect your house or flat only from insects. Moreover, RESPILON AIR® stops smog, pollen, dust, microorganisms and rain water. Mildew allergy producers which usually get into the house during ventilation and cause development of dangerous disorders will not enter any more. Therefore, RESPILON AIR® contributes to a healthy and clean environment. The membrane also reduces the amount of dust settled in the interior, which means that you do not need to clean so often. Whether we install, or you do, the RESPILON AIR® membrane is delivered wrapped on a practical roll to enable easy installation in windows or doors of any size and shape. 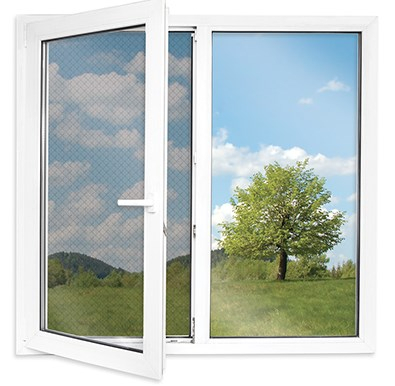 You can modify it as necessary and protect your house or flat regardless of the window dimensions. Replacement of old screens with RESPILON AIR® is fast and easy - you just need to follow instructions on the package or contact a professional service. Promote your home to a cleaner and safer place for living within few moments. In regions with intense sunshine, the RESPILON AIR® membrane can be used also as a shield. The nanofiber barrier allows you household ventilation without the intrusion of any harmful particles. RESPILON AIR® reliably prevents water penetration into the interior, so you don't need to close a window protected with membrane in case of rain. Moreover, the nanofiber density protects your home from mites, pollen, viruses and bacteria. That is why the membrane is the best solution for persons suffering from allergies. The RESPILON AIR® membrane works great with many applications. Most notibly would be it's use with the WHOLE HOUSE FANS where the hot air inside the home is forced out of the house. 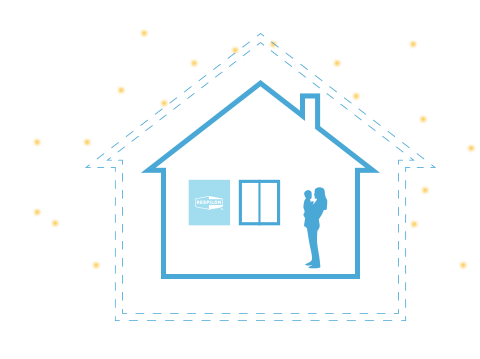 In such a case, the air coming into the home through the windows from outside has the same particles as the air you are forcing out of your home. RESPILON AIR® membrane can filter this air eliminating pollen, pollution, smoke, and other health-effecting air particles.